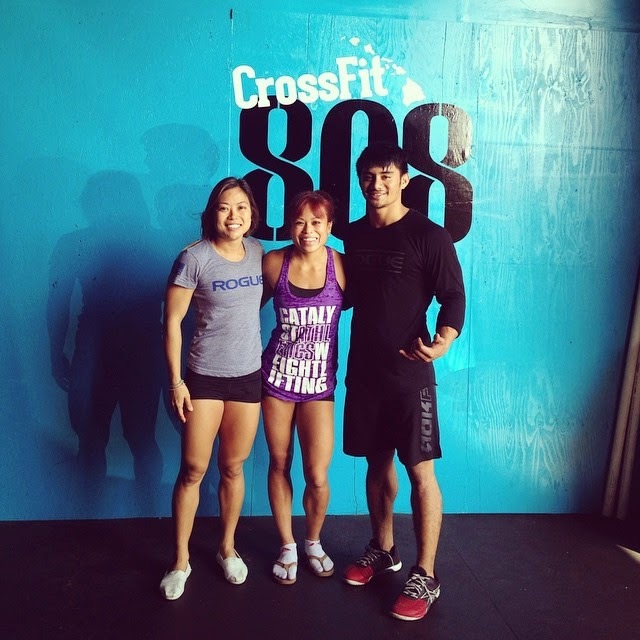 Jes' CrossFit Blog: CrossFit 808 -- New Location! In the new location, they have a few platforms in the back. Instead of doing the CrossFit workout, I did my weightlifting program. Some Highlights of the New Location! Still close to the previous location in Kalihi, but with a lot more PARKING! Three new weightlifting platforms in the back! 2. outside, brand new location! 8. new pull up structure! 17. the new, upgraded CrossFit 808! They needed a larger space since 2011! Congratulations to the whole 808 crew on finally getting the facility upgrade! Can't wait to revisit again the next time I come home!